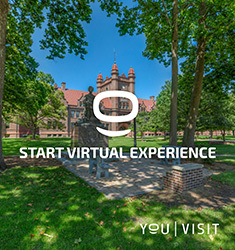 At Millikin University (MU) we value diverse experiences and perspectives and strive to fully include everyone who engages at MU. Millikin makes its campus accessible to faculty, students, staff and visitors with disabilities in accordance with applicable state and federal laws including but not limited to Section 504 of the Rehabilitation Act of 1973 and the Americans with Disabilities Act of 1990 prohibit discrimination against individuals with disabilities. According to these civil rights laws and corresponding regulations, no otherwise qualified person with a disability shall, solely by reason of his or her disability, be excluded from the participation in, be denied the benefits of, or be subjected to discrimination under any program or activity of a public entity. Millikin University students with a disability who wish to request academic accommodations under ADA/Section 504 must make an appointment with the Director of Disability Services to submit verification of their disability and discuss appropriate academic accommodations. Students will be required to sign a release of information form allowing staff to notify their faculty about the accommodations to be provided. Information about students’ needs and accommodations will be shared only with those individuals who need to know. Contact our central office by calling 217.424.6424. 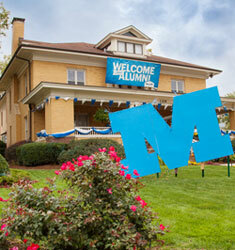 For more information visit MU's Academic Accommodations page. 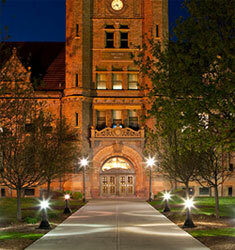 Millikin University does not evaluate individuals or determine functioning levels. The Office of Residence Life reviews documentation to determine if an individual is eligible for special housing accommodations. If eligible based upon the documentation, the Office of Residence Life will be in contact with the individual to determine the appropriate housing. During the review process, the Office of Residence Life may confer with other University offices and departments. Section 504 of the Rehabilitation Act of 1973 and the Americans with Disabilities Act of 1990 prohibit discrimination against individuals with disabilities. According to these civil rights laws and corresponding regulations, no otherwise qualified person with a disability shall, solely by reason of his or her disability, be excluded from the participation in, be denied the benefits of, or be subjected to discrimination under any program or activity of a public entity. 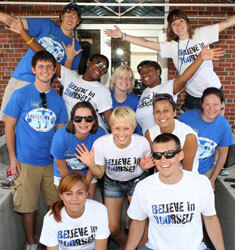 The Office of Residence Life at Millikin University strives to provide a climate of equal opportunity in all of its programs, activities, and services, and as required by the Americans with Disabilities Act (ADA), Section 504 of the Rehabilitation Act of 1973 and the Fair Housing Act. 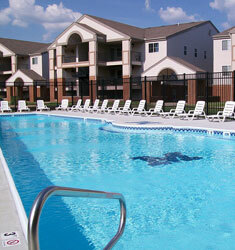 Residence Life will work to provide accommodations for any qualified resident with a disability. Housing for special needs may be limited due to space availability. For more information visit Residence Life Special Housing Requests page. Millikin University follows the Web Content Accessibility Guidelines (WCAG) 2.0 recommended by W3C which covers a wide range of recommendations for making Web content more accessible. By following these guidelines we make our content accessible to a wider range of people with disabilities, including blindness and low vision, deafness and hearing loss, learning disabilities, cognitive limitations, limited movement, speech disabilities, photosensitivity and combinations of these. By following these guidelines, Millikin makes our web content more usable to users in general. Audio and Video content - audio and video content is clearly labeled and mostly embedded through an outside platform that offers captioning as well as text alternatives. Info, Relationships and Meaningful Sequence - Information, structure and relationships conveyed through presentation and markup can be programmatically determined or are available in text. The sequence in which the content is displayed and the use of section headings will also help correlate the meaning and further organize content. Use of Color - Color is not used as the only visual means of conveying information, indicating and action, prompting a response, or distinguishing a visual element. Resize Text - Text can be resized without assistive technology without loss of content or functionality. If you find any of the pages on the millikin.edu site do not meet your requirements to properly view the page content please notify us by completing the Help Us form.